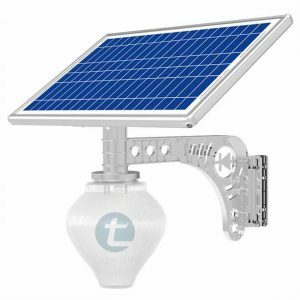 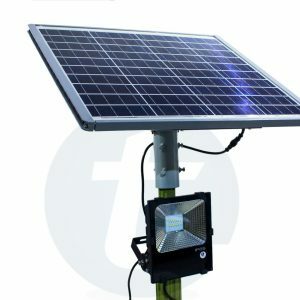 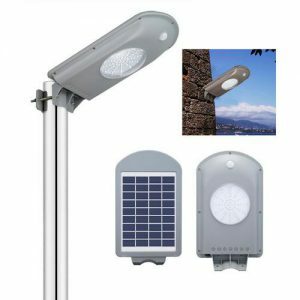 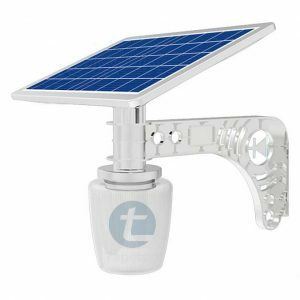 Solar Powered, water-resistant LED Lights with 3 Year Warranty. Pole not Included. 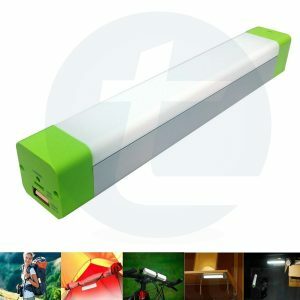 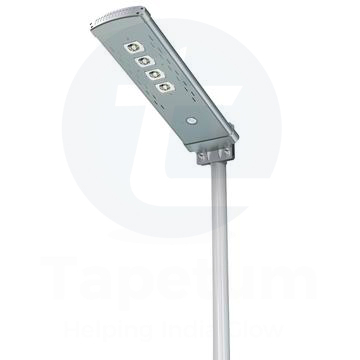 Smart Remote Control included which provides programmable lighting modes to satisfy most applications. 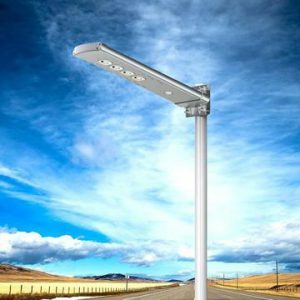 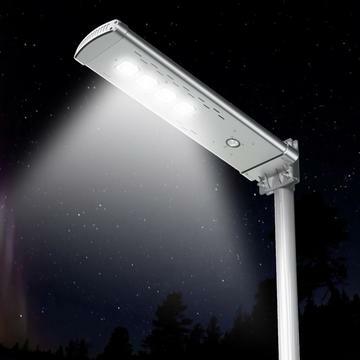 Adaptive Lighting System to achieve full night lighting if the weather changes, this is known as Constant Current Output. 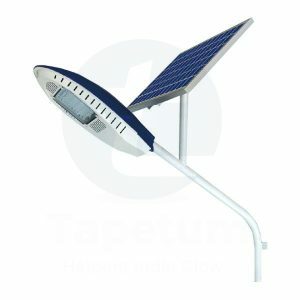 Auto off for sun charging during the daytime and PIR motion 2000 lumens of full brightness till dawn.